Best for Training is approved by Highfield Qualifications; Highfield is one of the UK’s leading awarding organisations for vocational qualifications, work-based learning and apprenticeship qualifications. Highfield Qualifications is a global leader in compliance and work-based learning qualifications and end-point assessment, and winner of the Queen’s Award for Enterprise. It is regulated by Ofqual, Qualifications Wales, SQA Accreditation, the Council for the Curriculum, Examinations and Assessment (CCEA), and the Security Industry Authority (SIA). Best for Training are approved to deliver CACHE qualifications; CACHE are dedicated to offering qualifications for those who care for children, young people and adults and continue to meet the needs of a modern workforce. Best for Training are an approved NCFE centre. NCFE is a national awarding organisation, offering over 500 qualifications at different levels and in a wide range of subject areas. Highfield and NCFE are also recognised by the Education and Skills Funding Agency (ESFA) as an apprentice assessment organisation (AAO) and registered on the Register of Apprentice Assessment Organisations (RoAAO). 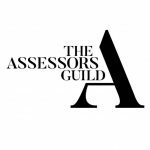 Best for Training are proud to announce that our Level 3 Award in Undertaking End Point Assessment qualification has received the assured benchmark of quality approval by The Assessors Guild. Best for Training believes that all safeguarding training should be of the highest quality, up to date and relevant for the sector. As part of our drive to ensure the best safeguarding training, all our tutors have been fully approved and endorsed by our local Safeguarding Board.